Over the years, with my work at Game-Wisdom, and through studying for the books I’ve written on game design, I have covered a lot of ground in terms of game design philosophy. In this piece, I’m going to go right back to basics and discuss how every game ever made falls into one of two broad schools of game design. This term is best used to describe a more curated game experience — where the developer wants the player to experience a specifically-crafted event or handle a particular challenge. Older video games — especially early console and arcade titles — were more strictly centered around the idea of mechanical gameplay design. Classic games would frequently make use of event triggers and timers in order to make sure that everything would happen the same way every time. In the past I’ve spoken about “Kaizo” games (“Kaizo” literally meaning “Rebuilt” in Japanese), and how these are examples of mechanical gameplay taken to the extreme. But what I haven’t yet touched on is how this trend still exists in modern titles; albeit in smaller doses. Whenever you come across a scripted event or a situation with a fixed outcome, this would be an example of mechanical gameplay. 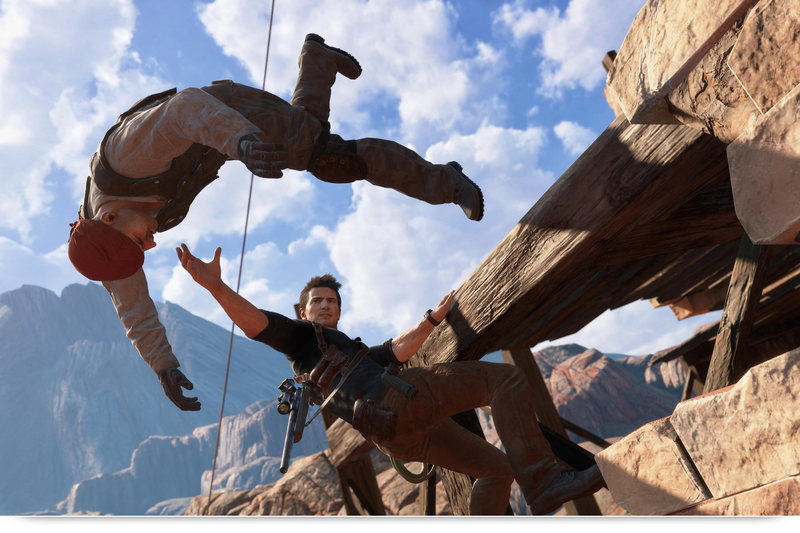 Many triple-A games today feature bombastic set pieces — the Tomb Raider or Uncharted series, for example — where everything is happening around the player, and all they are doing (in terms of mechanics) is moving forward and jumping. Games that feature set puzzles would also be examples of mechanical gameplay — whether this includes actual puzzle games, or puzzles that exist within games of other genres. The key ingredient that is common among all “mechanical” games is that the design only caters for one way to succeed, or one “best” path that works every time. Anyone who has watched speedrunners can see how many classic games can be broken down by their core, pre-determined elements in order to find the best path through. Due to the fixed nature of timing and patterns in many of these games, several of them can be played with what are known as tool-assisted-speedrun (TAS) programs. There’s nothing inherently good or bad about this kind of design. If you want the player to do something specific or if you want to draw a certain reaction out of them, mechanical gameplay allows the designer to control the gamespace and play to a fine degree. Having said that, more and more developers are embracing rogue-like design and replayability, leading to games with more emergent gameplay properties — this is where we dive into the second form of gameplay. Games that introduce random elements do not lend themselves to being 100% predictable from the player’s point of view. In these circumstances, the player’s role is to figure out how to react and adapting to changing conditions. In this context, I’m using the term “reactionary gameplay” to refer to titles that cannot be played the same way every time for different reasons. Maybe the game procedurally generates the gamespace, or all equipment is randomly given to the player, or enemies don’t follow the same fixed behaviour patterns. Whenever the game features elements that are not set in stone, the player will have to make judgment calls at a moment’s notice. One of the best examples of this kind of gameplay is the evolution of the action genre with random pattern design. For a long time now, action titles have featured fixed patterns: where bosses and enemies would do the same thing every time. This led to battles being mechanical, and in some cases, you could only beat the boss by doing one thing over and over again. Random pattern design means that the enemy decides what attack to use based on their pool of attacks defined by the developer. As the player, you may be familiar with each of the boss’s individual attacks, but you have no idea when (and in what order) the boss will employ said attacks in response to you. 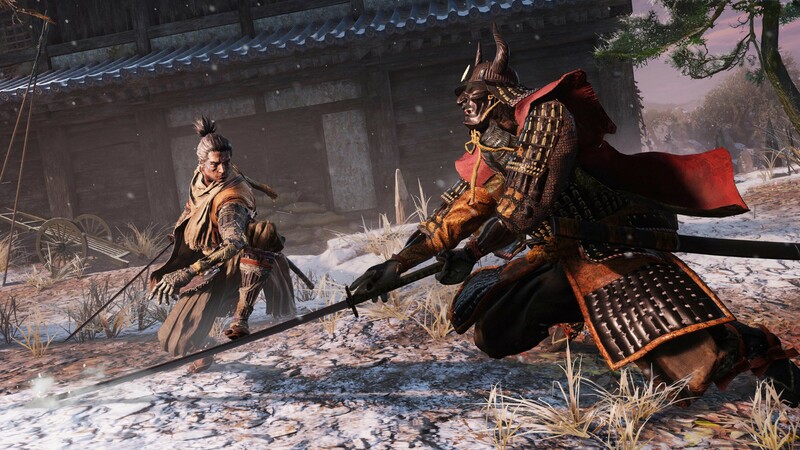 Recent hits like the Soulsborne games, Nioh, and probably Sekiro are perfect examples. At its best, the rogue-like genre could also be a fit here, as the player must continuously react to every room, every item drop, and so on. This is also the reason for the high replayability of these games, as every run is a different experience for the player. Reactionary gameplay is arguably a lot harder to balance when compared to its mechanical cousin. As the developer, you don’t have complete control over the experience — some players may have an easy time, others may become frustrated. Giving up that control also makes it tougher to focus on a set story and narrative, given that the game is supposed to be replayed many times. Both have their place when it comes to designing a videogame, but is one better than the other? Both mechanical and reactionary gameplay have their places in today’s market, and for developers, it’s ideal to figure out what your game is going to be as early as possible. It’s important to be careful when it comes to mixing gameplay types, too. Games that are intended to have replayable elements can suffer if there are too many set piece experiences in them. And likewise, if you build a game that is designed to feel more curated and guided, you can frustrate players if you suddenly throw them to the wolves. One genre that fairly successfully combines the two approaches is the JRPG genre. Many JRPGs feature rigid stories and guided scenarios, but they allow the player control over their party’s build, skills, etc… That said, you still need to be careful when it comes to balancing encounters — a famous design trap of the JRPG genre is giving the player all matter of status-affecting skills, but rendering them useless for any boss encounter. Conversely, we’ve seen western RPGs place greater focus on letting the player have control over the story and gameplay at the same time. However, they still run into issues when there are setpiece-type encounters or situations that the player may not have deliberately specced towards (don’t forget the lessons of Assassin’s Creed Odyssey, either, when it comes to ensuring choices are balanced to provide benefit in your title). If you’re going to focus purely on mechanical gameplay, then you want to make things as polished and as refined as possible, as the player is not going to have the same level of flexibility. For story-driven games, the player is willing to accept repetitive gameplay if the story continues to keep moving, but if it feels like nothing is changing, they may give up playing. Regardless of what kind of gameplay you’re aiming for, you want to figure out these aspects as early into development as possible. As with the core gameplay loop, they will become the foundation for your title and from where all other decisions and systems will stem.